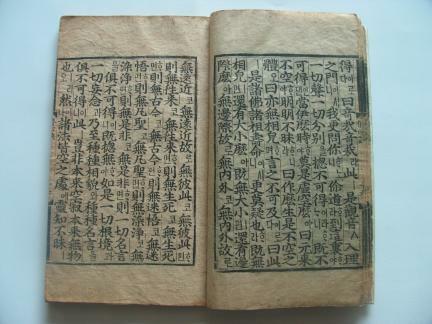 『牧牛子修心訣(諺解)』는 고려의 普照國師 知訥의 저술인 ｢修心訣｣을 바탕으로 조선의 世祖(1417∼1468)가 景福宮의 丕顯閤에서 口訣하고 慧覺尊者 信眉(1403∼1480)가 국역한 것을 세조 13(1467)년에 刊經都監에서 간행한 목판본이다. ｢修心訣｣에 이어 信眉가 口訣하고 國譯한 「皖山正凝禪師示蒙山法語」·「東山崇藏主送子行脚法語」·「蒙山和尙示衆法語」·「古潭和尙法語」 등 4편의 ｢法語｣가 合綴되어 있으며, 이들은 ｢修心訣｣과 同年에 간행된 것으로 추정된다. 세조가 佛經의 간행을 위하여 설치한 刊經都監에서 간행된 여러 諺解本 중의 하나로 刊經都監의 성격 및 訓民正音의 연구에 귀중한 자료이다. 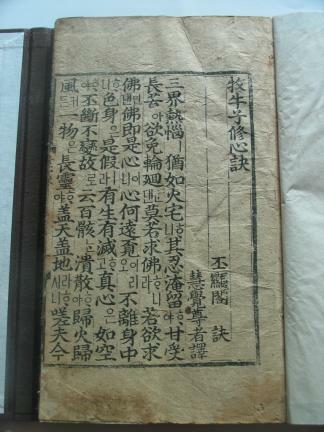 This book, Moguja susimgyeol (Golden Teachings on Mind Cultivation), was published in 1467 by Gangyeongdogam (Directorate of Buddhist Publications), a government agency of the Joseon Dynasty. 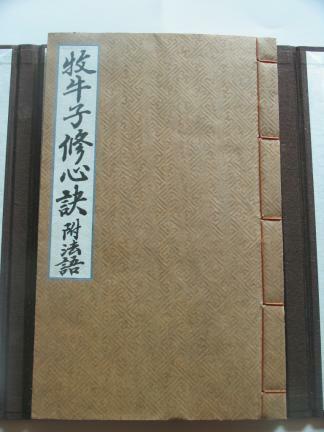 The book was written by the renowned Goryeo monk and State Preceptor Bojo (a.k.a. Jinul, 1158-1210), glossed by King Sejo (1417-1468) of Joseon Dynasty at Bihyeonhap Hall in Gyeongbokgung Palace, and translated into Korean by a Joseon monk named Hyegak (a.k.a. Sinmi, 1403-1480). 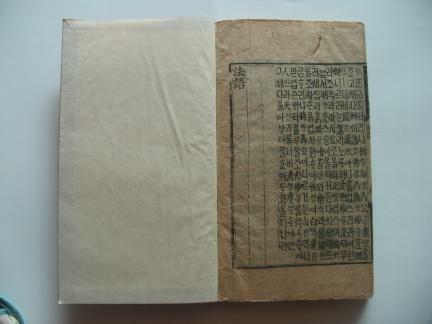 The book contains valuable sources for the study of Gangyeongdogam and the invention of Hunminjeongeum (Korean alphabet and writing system).